I’m a late-comer to the world of butchery. After 10 years living and working in London I took the decision in 2010 to leave my job in the world of advertising and put everything into turning Garlic Wood from a hobby into a business. Having bought a small parcel of land in Sussex my family were able, finally, to indulge a life-long interest in rearing our own livestock and producing our own food. We started out with a small herd of pedigree Gloucester Old Spot Pigs, a handful of Highland Cattle and some big ideas about sustainable meat production. From the start our passion was in working with our native breeds and in farming, albeit on a small scale, in harmony with the natural environment. We wanted our pigs to be free-range and our cattle to be hardy, outdoor breeds that could thrive on the naturally occurring grazing and forage our land provided. As well as our own land we took on some conservation grazing with the National trust; using our Highland Cattle as part of the conservation management programme on a beautiful water meadow system. Our ethos, and the quality of the produce, very quickly caught on with friends and family. Our small family business tapped into a growing desire from people to understand more about where and how their food has been produced, and a sense that we’ve lost touch with the taste and flavor of ‘proper’ food. We quickly reached the limit of what we could produce ourselves in our spare time so in 2010 we each decided to take the leap from being the archetypal ‘weekend farmers’ and gave up the day jobs to focus on turning our passion into a viable business. We sought out other farmers and producers who shared our vision and began to develop the network of partner producers who now form our supply base. I moved from London to Sussex and we embarked on a journey that has taken us from hand-delivering small batches of sausages to friends and family through to opening our own shop and then developing an online retail business. At the same time I took the opportunity to learn the skills and craft of traditional butchery from our team of talented butchers. 8 years down the line and I’m now even passing on these skills to others on our ever-more popular butchery courses. 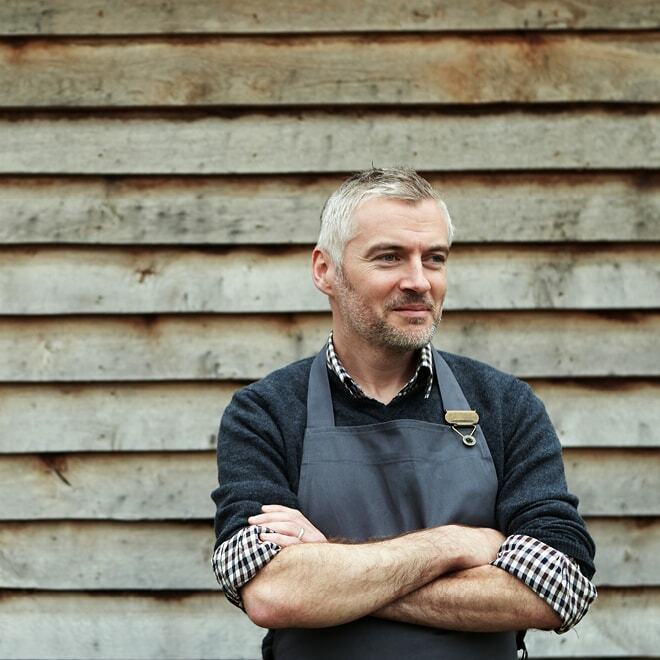 It’s been a long and sometimes difficult journey from spreadsheets and the daily commute to butchery and sausage-making but hopefully the passion that drove me to do it is there for customers to see in every one of the products we sell at Garlic Wood.